One of many elaborate casinos in Las Vegas, Nevada, USA. 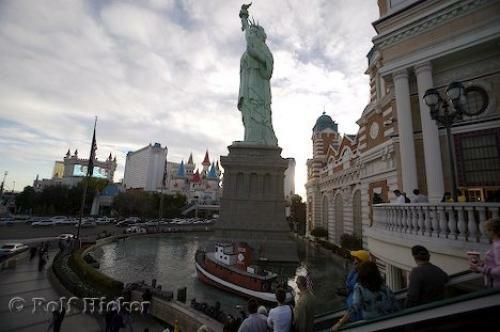 New York-New York Hotel & Casino, Statue of Liberty, Vegas Strip, Las Vegas, Nevada, USA, North America. Photo of the exterior of a few hotel and casinos along the Strip in Las Vegas, Nevada, USA.